Many of us in the ag industry like to preach to farmers the importance of working capital. In a volatile industry like farming where you have very little control over the major factors that control your revenue, weather and futures markets, working capital is your farm’s bulletproof vest. I was talking to a farmer recently about it and his response was, “will you shut up about working capital, I’m sick of hearing about it!”. He also went on to explain that his good friend runs a successful business in town and says that working capital is way overrated. He actually tries to have negative working capital (more on this point later)! There are a few main counters to these arguments. The “in town business” likely has way more control over its revenue than the farm. Working capital on a farm, with its revenue tied to unpredictable weather and commodity markets, is a form of business insurance. For the “in town business”, it’s dead cash. Big difference! The second point is that while your return on your working capital only matches the interest rate on your operating note, there is a lot of value in working for and financing yourself (not a bank). And lastly, I love investments like grain storage. They are definitely higher ROI than 3-4%, in my opinion. But not all farmers use them as tools to capture carry and basis appreciation. If you get a great return once every few years, does it really offer a greater ROI than the automatic return of 3-5% given to you by paying off your operating note? A fair question in my opinion….. The second point is the big one. The reduced stress from having a big working capital cushion is very valuable in my opinion. Some people live for the stress and “rat race” involved with getting their operating note paid off every year. To each their own! Let’s take a look a few facts regarding working capital that you need to understand and be comfortable with. Working capital is a low return asset. Building working capital prudently requires paying taxes. It’s hard to build working capital when growing acreage. First, let’s take a look at the second point. To make long-term payments on your operating note, you will have to use after-tax cash to make those payments. You don’t have to build working capital by simply paying down your operating note. You could build your working capital position by growing the amount of commodities or prepaid assets on your balance sheet. The interest costs associated with maintaining an operating note balance. Storing grain is rarely ever free. You are almost always paying a storage charge in some form, including utilities, labor, tying up an income producing asset (grain storage), or commercial storage charges. Storing grain has price risk. The goal of building working capital is to reduce your farm’s risk not add to it. Storing grain, deferring grain, or holding prepaid assets often exposes your farm to counter-party risk. The quickest way to a farm balance sheet disaster is to have a counterparty declare bankruptcy. This is a low probability event but they have always and will always occur in farm country. The most straightforward way to build working capital is to pay taxes and pay down your operation note with this after-tax cash. Now, let’s move to the third point listed above on growing acreage. “If you’re not growing, you’re dying!” Really?! I hear this quote repeated often in ag and non-ag business circles. In farming, it’s often brought up in regards to growing acreage. There is this unnecessary fear in farm country that big farms are simply going to gobble up all the acres. Due to advances in technology farm’s are going to keep getting larger. I’m highly confident of this. But you shouldn’t be fearful of a giant wave of farm consolidation. Why you ask? Good question. It’s hard to maintain high yields over large acreage bases. While this isn’t always the case, I feel it’s generally the case. The only tried and true method of growing acreage every year, is to pay top-of-market rents or purchase prices. “Deals” certainly do occur but not in enough of a quantity to meet the needs of a high-growth operation. And one of the primary reasons…….it’s hard to grow working capital when always in growth mode. Let’s say a 1,500 acre farm has grand ambitions to grow to 15,000 acres in the next 10 years. Let’s see where this farm would need to be in year 10. Over 10 years, they would need to add $1.95 million to their farm’s working capital. Assuming an average combined federal/state tax rate of 30%, they would need to allocate $2.79 million of income to working capital. It has happened and will happen again. But if you start to assume that out of those 10 years, 2-4 of them will likely be breakeven (or worse) it becomes much harder to generate the level of income needed for working capital growth. In addition, when this growing farm is profitable other farms in the area will be profitable. So you know they will likely be getting very few “deals” when it comes to the acreage they are acquiring. It’s safe to say that in at least a couple of the years, this high-growth farm will face a scenario where they have very little working capital. This will leave them very exposed to adverse weather or market conditions. Yes, acreage does play into this. It’s important to minimize your overhead per acre but it’s not nearly as important, in my opinion, as building a risk protection “moat” around your operation. A critical piece of this is your working capital moat. 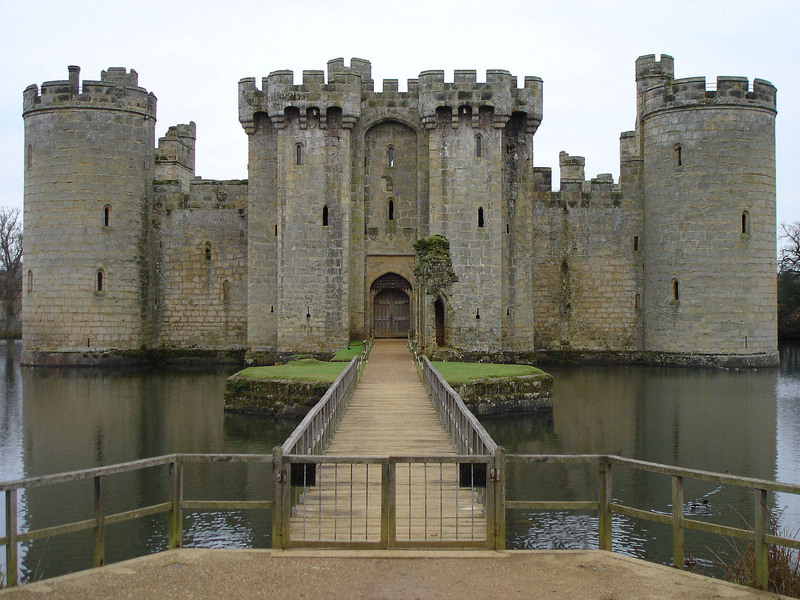 This moat is your protection from negative income fluctuations that are always inherent in a farming operation. In addition……if the goal is to always grow, focus on growing your business skills, your staff’s skills, your balance sheet, etc. Not just acreage. Check out this blog post we wrote on what Dr. David Kohl says are the traits of the most and least financially successful operations. Very true. You need to actually make a profit to build working capital. While the profit picture isn’t very rosy at the moment, commodity businesses are cyclical. There will be better times ahead, I guarantee it. And when they come, remember to fill your farm’s working capital moat!